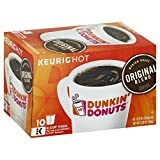 Dunkin' Donuts Brewed coffee is a popular coffee sold in Dunkin' Donuts Restaurants. The figure listed is for their standard brewed coffee, which has a very loyal fan base. 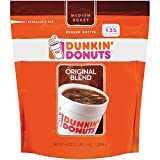 Dunkin Donuts reformulated how they brewed their coffee in 2015 to produce higher caffeine levels, but since went back to more moderate levels. 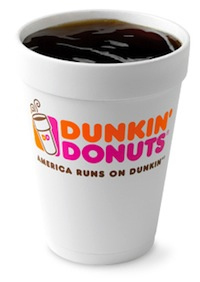 On average Dunkin' Donuts' Brewed Coffee has significantly less caffeine than Starbucks Brewed Coffee. 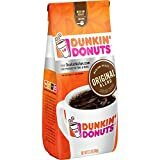 For a complete listing of all Dunkin' Donuts coffee and other beverages see our Complete Guide To Dunkin' Donuts Caffeine. Please see source below for more information. How Does Dunkin' Donuts Brewed Coffee Compare? 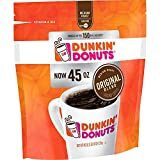 Dunkin' Donuts Brewed Coffee contains 15.00 mgs of caffeine per fluid ounce (50.72mg/100 ml). Caffeine Content of Specialty Coffees, Journal of Analytical Toxicology, October 2003, vol. 27, no. 7, pp. 520-522. McCusker R.R. ; Goldberger B.A. ; Cone E.J. and Dunkin' customer service.